It is not enough to simply climb. Bringing back one’s tales from the mountains has been a core aspect of mountaineering since the early days of scientific and geographic exploration. As mountaineering became an activity in its own right, so too did writing and public speaking become an important tool for mountaineers to forge a living from exploration. The early pioneer Albert Smith climbed Mont Blanc in 1851 and went on to thrill audiences with vivid dioramas of his adventures, performing around 2000 times to high profile audiences. 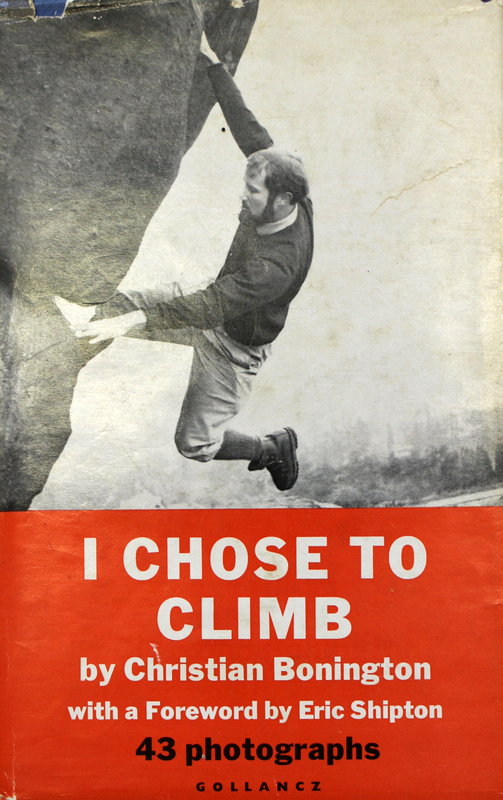 I Chose to Climb. Published 1966. The formative years of Chris’ mountaineering life. 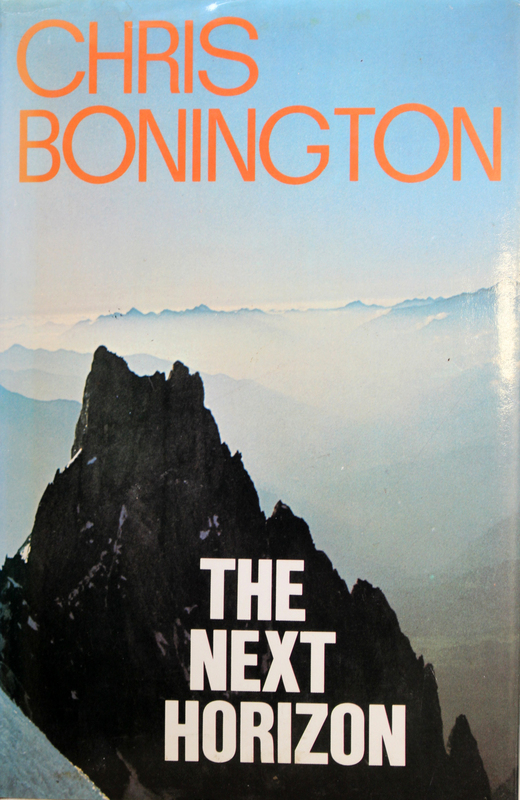 From his early days moving to Westmorland from Hampstead Heath the book is perhaps the best indication of how mountains grabbed the attention of young Chris and took him ever higher; from Harrison’s Rock, Snowdonia, and the Scottish Highlands, to classic alpine routes and Annapurna II and Nuptse in the Himalaya. Annapurna: South Face. Published 1971. 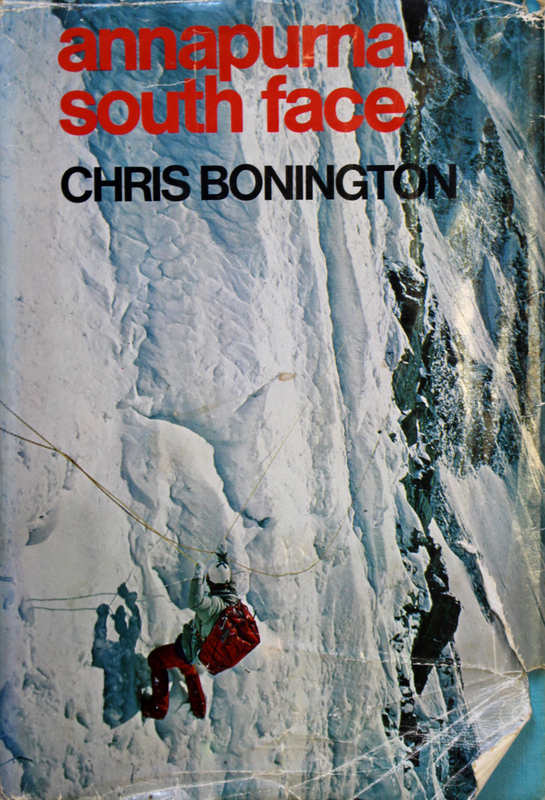 Having succeeded on Annapurna II, Chris went on to lead the 1970 attempt of the south face of Annapurna I. In a book that echoes the epic expedition accounts of the likes of Frank Smythe, Chris meticulously details the logistics of expedition alongside the drama of their siege attempt on the face. Following the success of Don Whillans and Dougal Haston who summited on the 27th May. Whilst descending, Ian Clough was killed in an avalanche below Camp II, the news bringing even the normally reserved Mike Thompson to tears, who had been with Ian at the time. The rest of the team stood dumbfounded at the news beneath the gigantic sweep of the face they had only days before completed. The Next Horizon. Published 1973. Everest: South West Face. Published 1973. ‘We and tried and failed.’ A book burdened not just by the unsuccessful attempt on Mount Everest’s southwest face but also at the death of Tony Tighe who was killed between Camp I and Base Camp. The wind proved too much throughout the trip and forced the team to reach on the 15th November 1972. 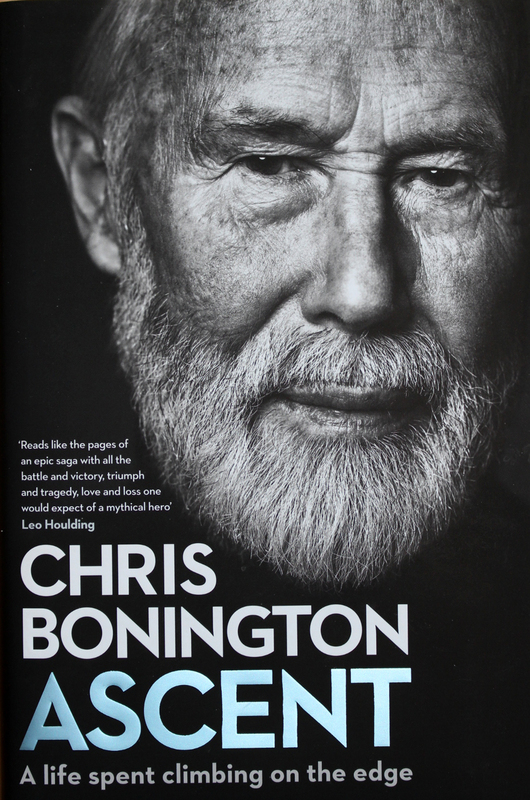 Nonetheless the honest of Chris’ writing bears through again, coupled with incredible double page colour photography of the Khumbu range. In terms of ‘effort, human relationship and self-sacrifice’ wrote Chris in a letter to Sir John Hunt from 24,600 feet at Camp 4, ‘I feel our attempt on the South West Face has been worthwhile’. Everest: The Hard Way. 1976. 1975 and Chris returns to the South West face once again. At the time the line had defeated five expeditions. There was growing scepticism on the value of the line, not least from Ken Wilson who asked is ‘such a route really worth the expenditure of £100,000 and should climbers remain so completely oblivious of this point, when the country and indeed the world are in such dire economic straits?’ This point was not lost on Chris whose confidence was shaken by the high profile criticism from some in the mountaineering world. Nonetheless the expedition arrived in August, earlier in the season than their previous attempt. The notorious 1,000-foot rock band crux at an altitude of 27,000 feet was tackled nearly a month later by Nick Estcourt and Phil (Tut) Braithwaite in one of the most iconic pieces of climbing ever undertaken. This notable success helped put Doug Scott and Dougal Haston just four days afterwards. Just two days later, tragedy struck as Mike Burke disappeared in deteriorating weather on his way to the summit. 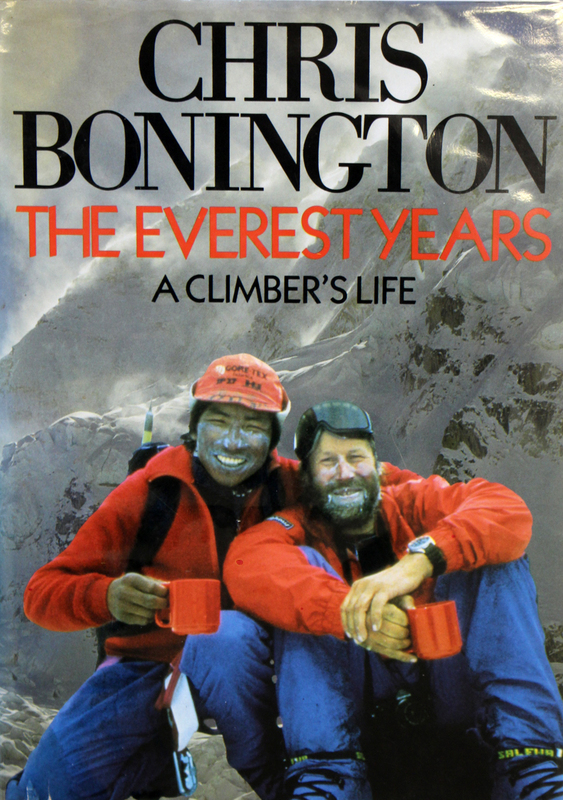 The Everest Years: A Climbers Life. 1986. 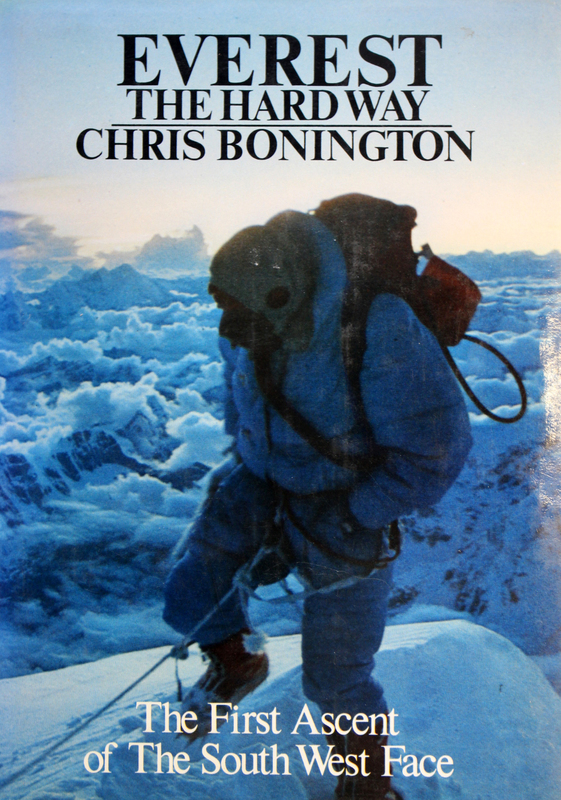 Chris’ Everest expeditions in the 1970s became part of a golden decade for British mountaineering. Ten years later, Chris returned to the summit of Everest at the age of 50. Chris was involved in four expeditions to the highest summit on earth in 1972, 1975, 1982 and 1985. Yet these and other high altitude summits such as K2 and the Ogre are contrasted with the intimacy of Lake District cragging and the bleakness of Scottish winter. ‘Small is beautiful’ writes Chris who recounts evening meets with Carlisle Mountaineering Club and arriving at midnight in the town of Fort William. 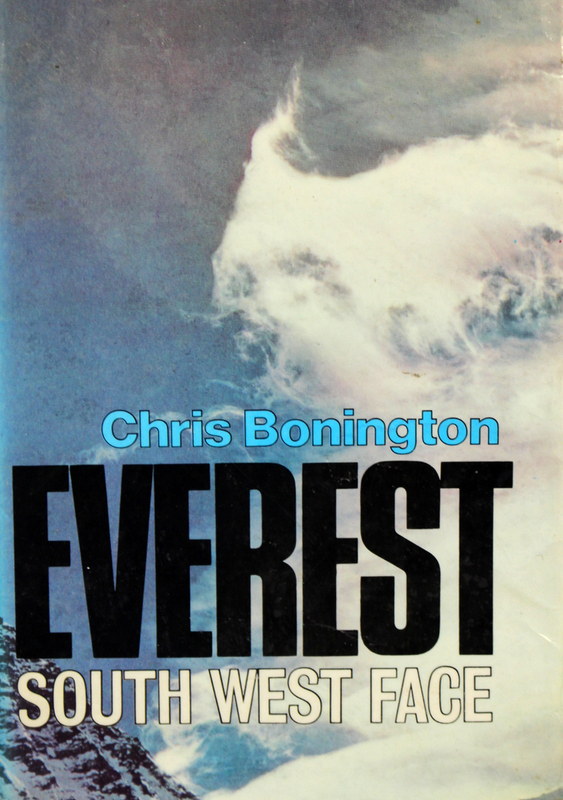 It is though the deaths of Pete Boardman and Joe Tasker whilst attempting the North-East ridge of Everest in 1982 that stand out most in the book and the admission from Chris that he would never return to Everest. Breaking this promise to Wendy in 1983 after being approached by a Norwegian expedition was not easy and one which he struggled to reconcile. 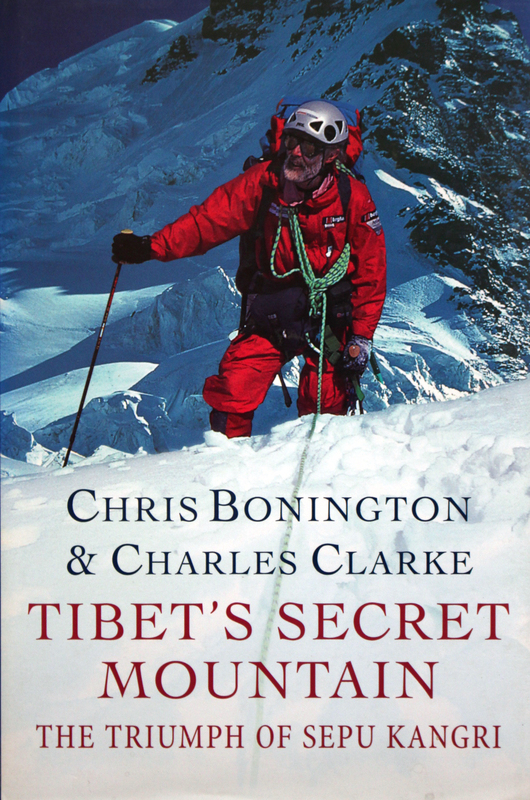 Tibet’s Secret Mountain: The Triumph of Sepu Kangri. 1999. Amongst political unrest with the Chinese Mountaineering Association, mountaineering in Tibet seemed an unlikely option. Even more so considering that Sepu Kangri had remained largely unseen by European mountaineers and the first expedition Chris and Charles Clarke mounted utilised a tourist map bought at the airport, a photograph from a local in Diru and a Chinese book on the areas mountains. Two attempts in 1997 and 1998 were both unsuccessful yet mountaineering success is only part of the picture here, instead it is the thrill of adventure and camaraderie that sticks with Chris. He notes that as time begins to catch up with him, reaching the summit is not quite as essential as he had previously believed.